CJ Greaves – Toyota Racing – NASCAR. Monster Energy Mutant Soda driver CJ Greaves along with long time sponsor Toyota Racing hits the west coast desert! Toyota Racing and CJ Greaves, amongst other Toyota drivers in various motorsports are meeting at the VORE Offroad Complex outside of Las Vegas this week. There effort is to launch a new PR marketing campaign “NASCAR Goes West”. Toyota’s goal is to show the many different motorsport programs that they are involved in. Monster Energy NASCAR will also be racing at the Las Vegas Motor Speedway this weekend. 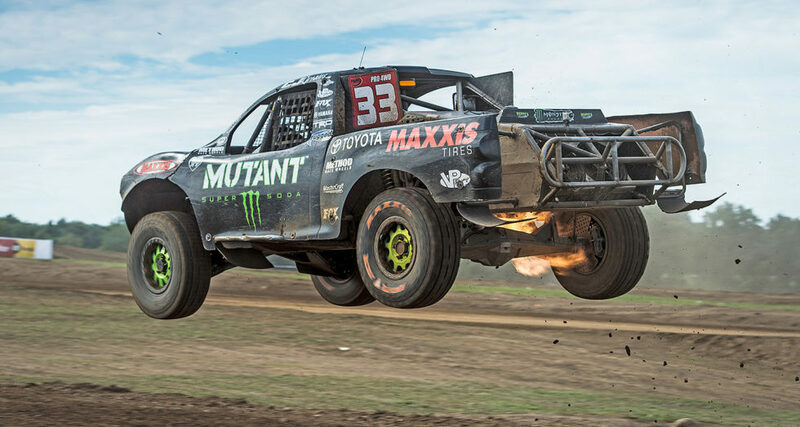 Toyota Racing is strongly represented in NASCAR and will showcase CJ’s Monster Energy Mutant Soda Pro4 truck on display in the Toyota Fan Zone CJ will be attending the race and will be hanging out around the Fan Zone along with representing Toyota at various media outlets.